Race Winning Designs Disc Brake Pads | RWD HIGH PERFORMANCE braking products for the cycling industry specialising in Disc Brake Pads and Racing Brake Fluid. For more years than we would care to admit, we have been engineering performance braking components. 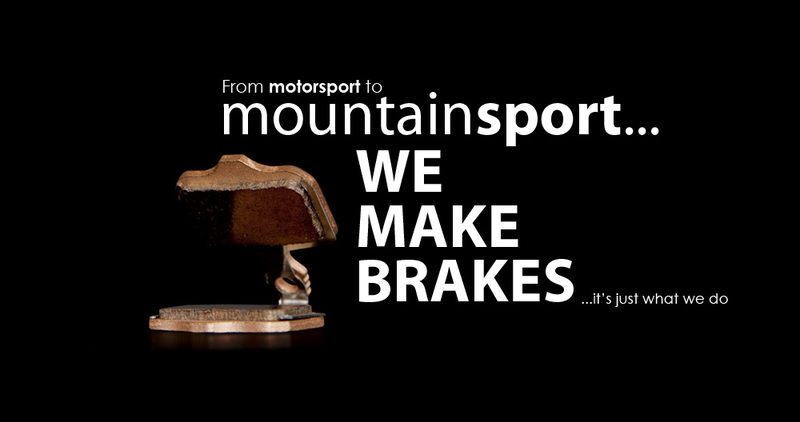 We cut our teeth in motorsport, delivering braking products that repeatedly racked up international victories. We specialise in friction material development, striving to innovate and push the boundries on performance standards in a continued pursuit of excellence. All of our development takes place in the stunning orkshire Dales, England. We spend countless hours perfecting our materials on the very trails that you will be using them. Testing takes place all over the world by real riders using real bikes in real weather. 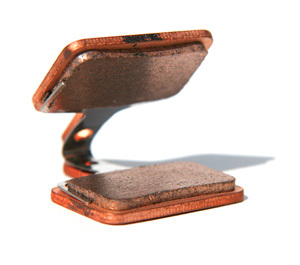 We firmly beleive that you cannot find a better disc brake pad for your bike. 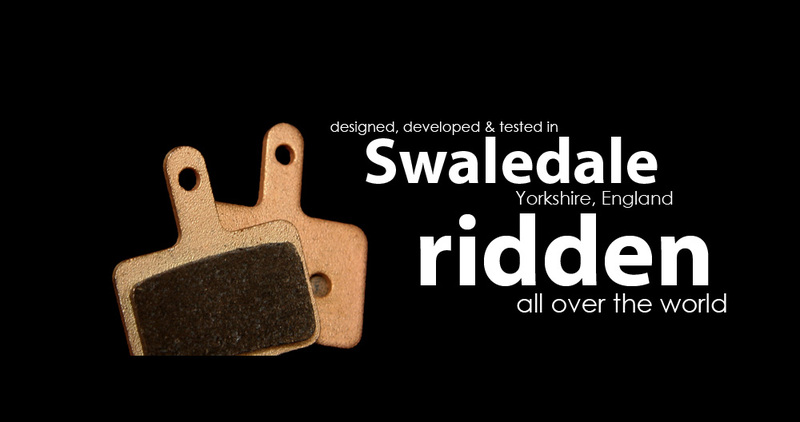 RWD Organic brake pads offer a consistent level of friction whilst being relatively low-wearing on the disc. 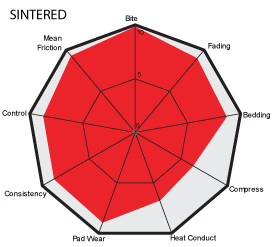 The medium density and compressibility properties of this material mean that the pad has an excellent level of modulation and control. 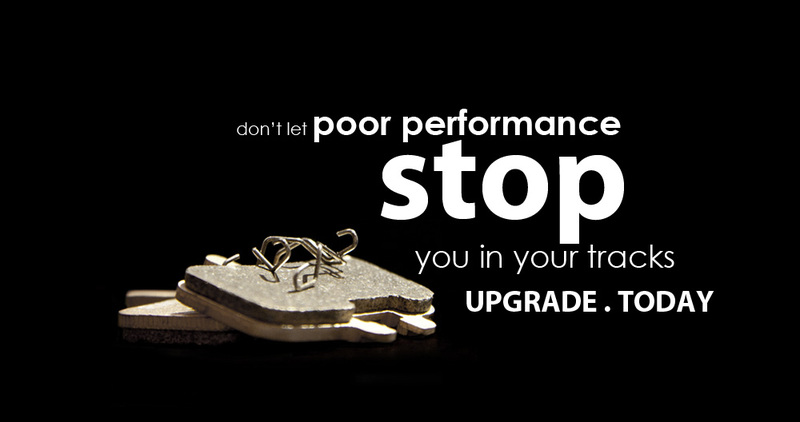 Organic disc brake pads demonstrate good cold performance, offering consistent "bite" from the outset. 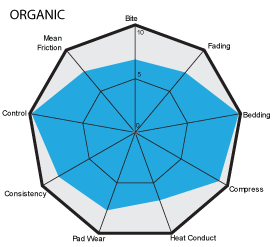 The green performance (from new) is equally as consistent with the pads bedding to the disc surface with relative ease and speed. 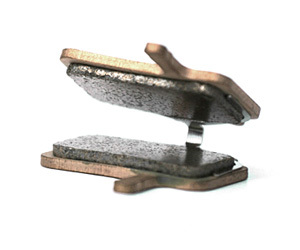 Sintered brake pads offer a stronger initial "bite" with a higher mean friction level than the Organic material. The Sintered formulation has a higher density and lower compressibility than its Organic equivalent, which makes it a very hard compound. Due to its hardness a Sintered pad has a longer lifespan than an Organic pad but the downside of this is a higher level of wear on the rotor. 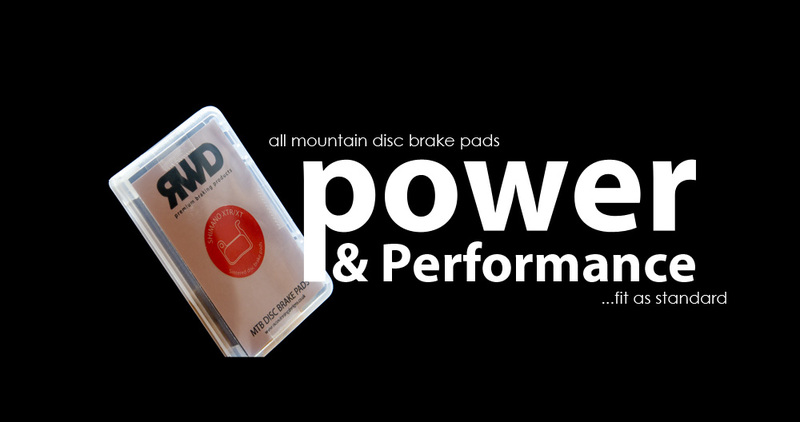 The performance of RWD Sintered pads remains consistent in wet conditions and due to the hardness of the material these pads are also very well suited to sandy trail centre riding.